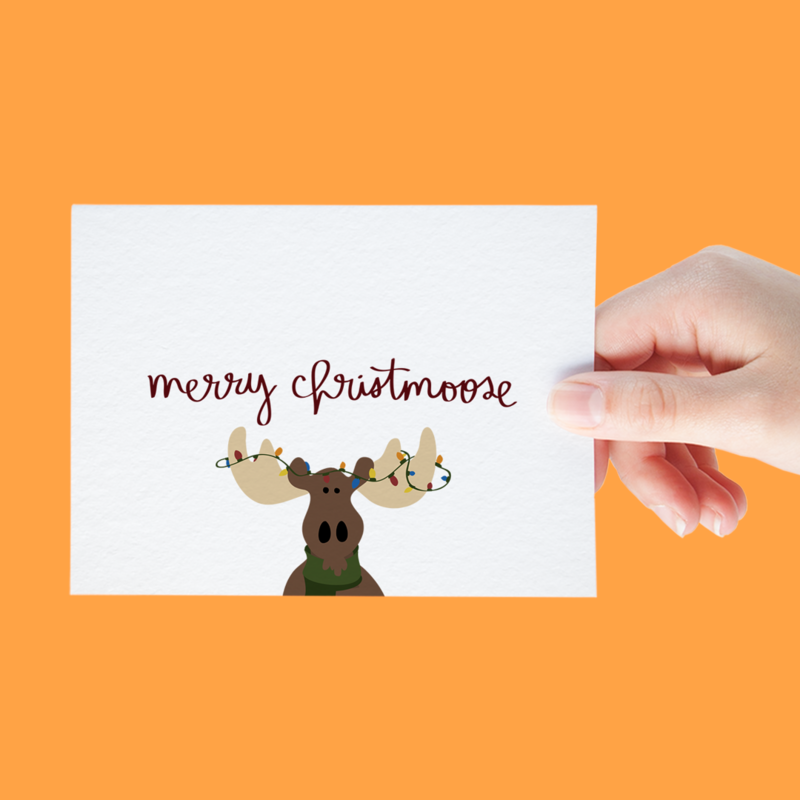 You’ve probably heard the words Jingle Bells or Rudolph sometime today. It’s practically impossible to escape the holiday frenzy at this point, but then again why would you want to? 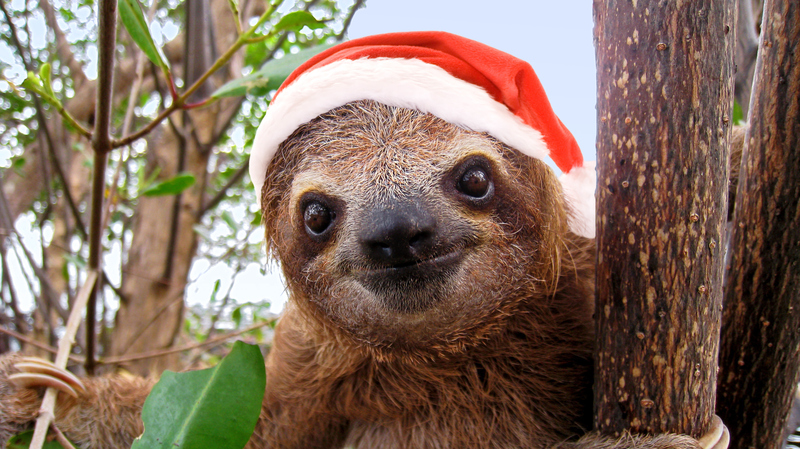 This is the most joyous time of the year and we legit could not be more thrilled. 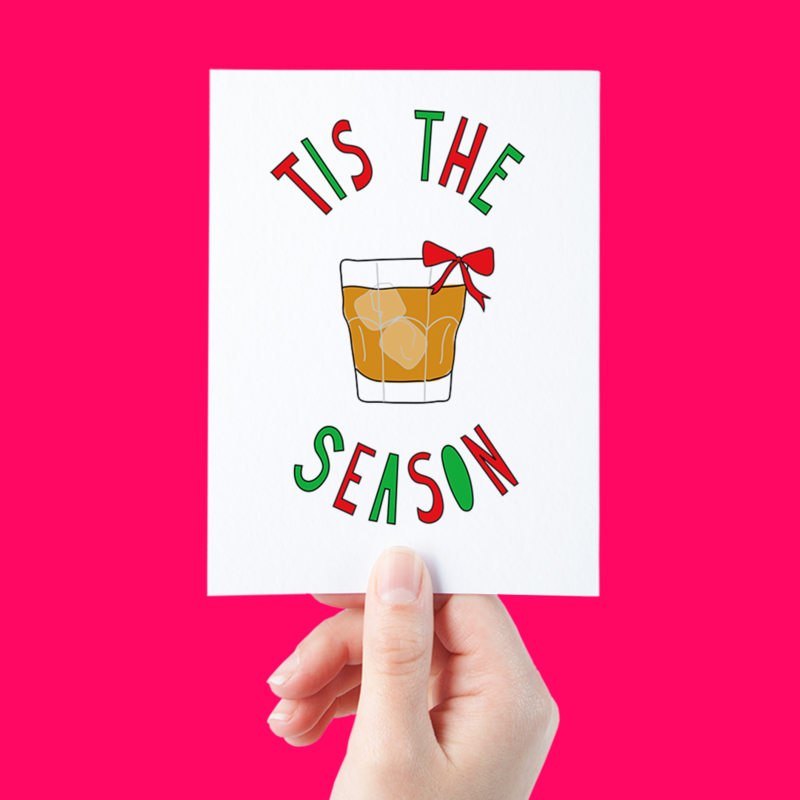 The holiday season has begun and what better way to celebrate than with a laugh or two at these deliriously funny holiday cards. 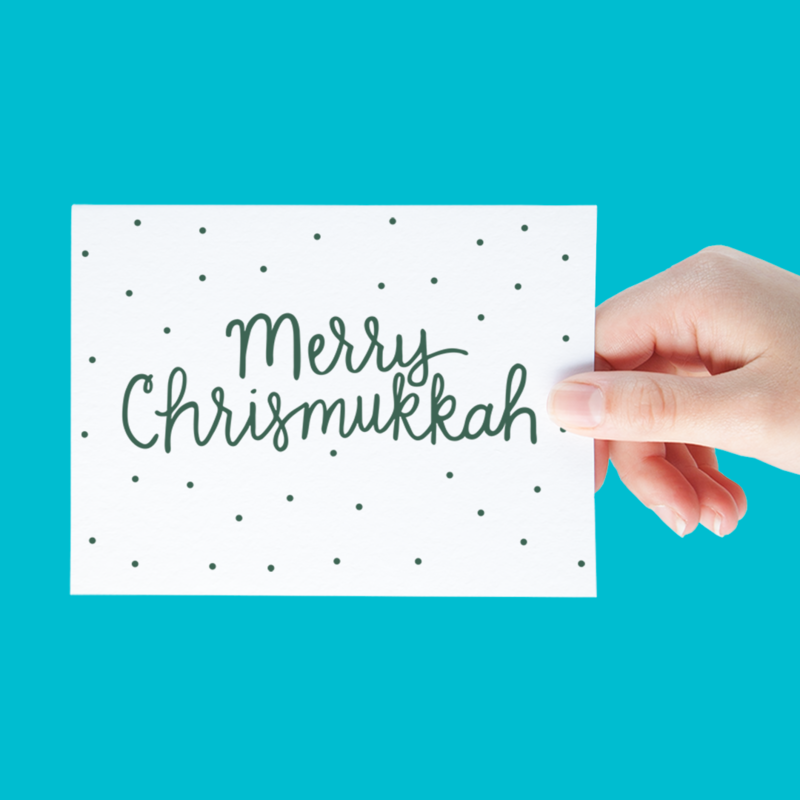 Before we get into it — let’s ponder on something for a moment: what makes a funny holiday card… funny? Is it a good pun. Obviously. Perhaps its a funny illustration or a puppy. Puppies are funny, right?! What about custom photo cards with a fill-in-the face illustration. Hard not to get a giggle out of those! If your spirits have managed to fall, not to worry this list is bound to perk them right up! 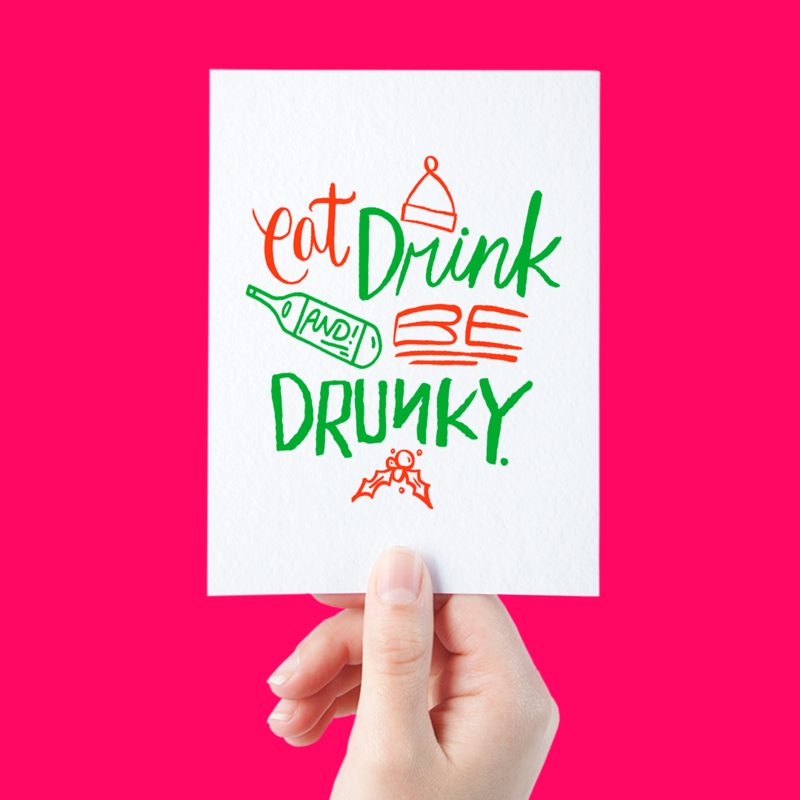 After all, who doesn’t love funny holiday cards? And once you’ve browsed the list, let us know what you think! We want to know: which card did you think was funniest? 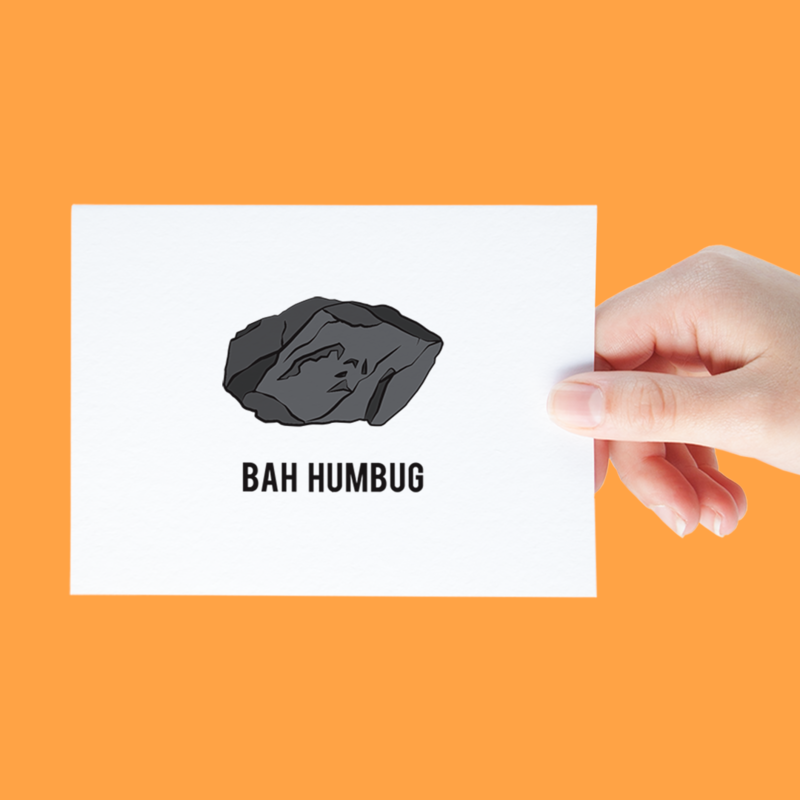 Ok, now for the legitimately funny holiday cards. Starting off the list with a good old fashioned pun. This list — as you’ll soon see — is pretty heavy on the puns so hold onto your punts. Get it? Ok. Maybe we’ll leave the puns to the masters like A Jar of Pickles. 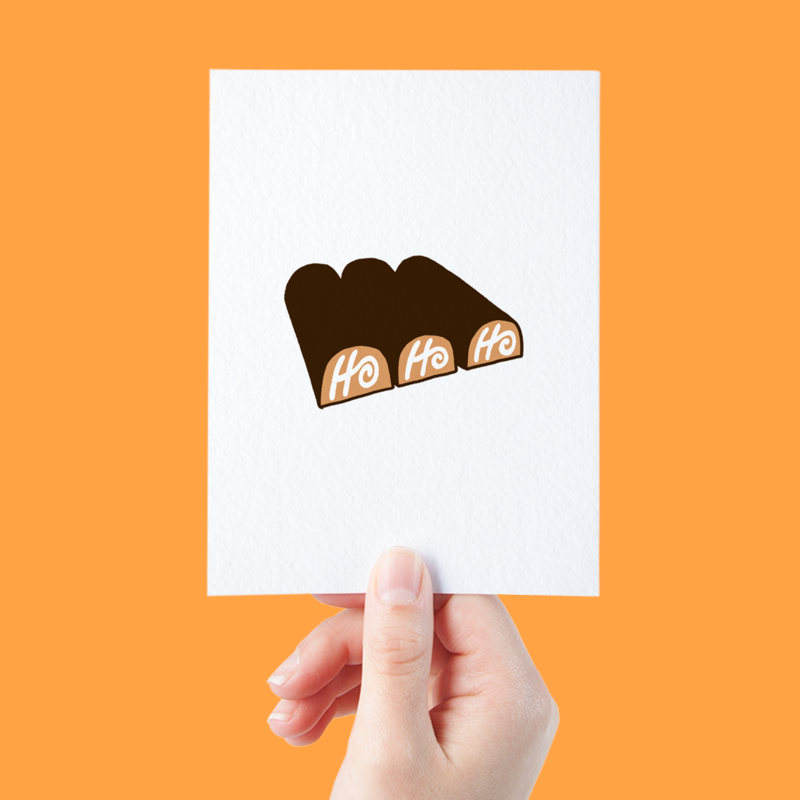 This Feliz Navidad card is funny AND adorable. What more could you possibly want? The holidays are a great time to enjoy some festive booze — pumpkin ales anyone? 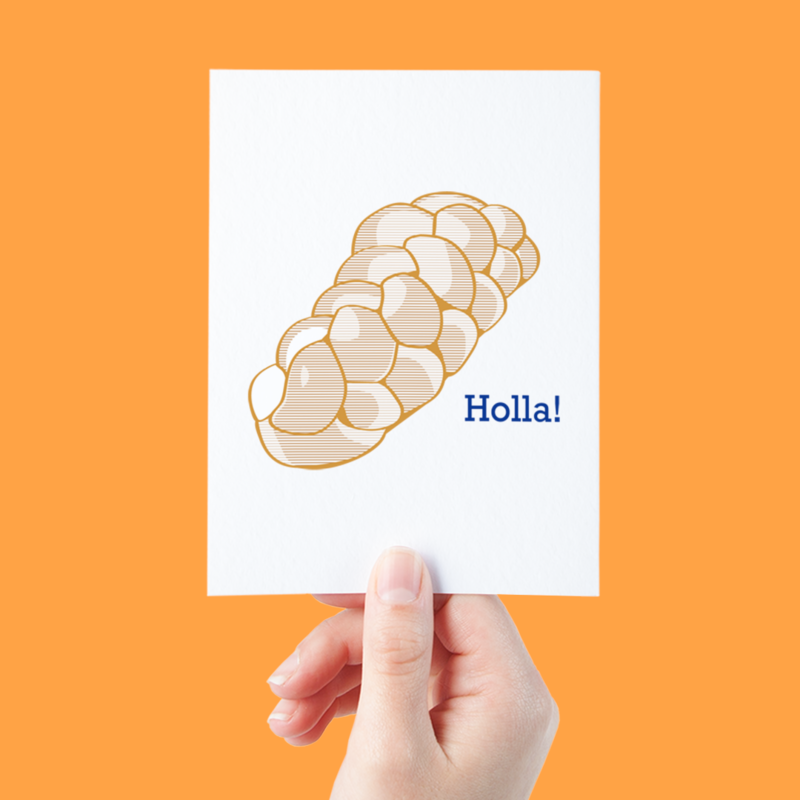 We all have that friend that would likely appreciate this card a bit more than say — grandma. Nevertheless, most everyone can appreciate good ole’ play on words. Near Modern Disaster has a special way with words. At the very least it’s an honest sentiment. Know someone who would get a crack out of this? When you’re just not sure what the right move is… Why not wish allll the wishes? 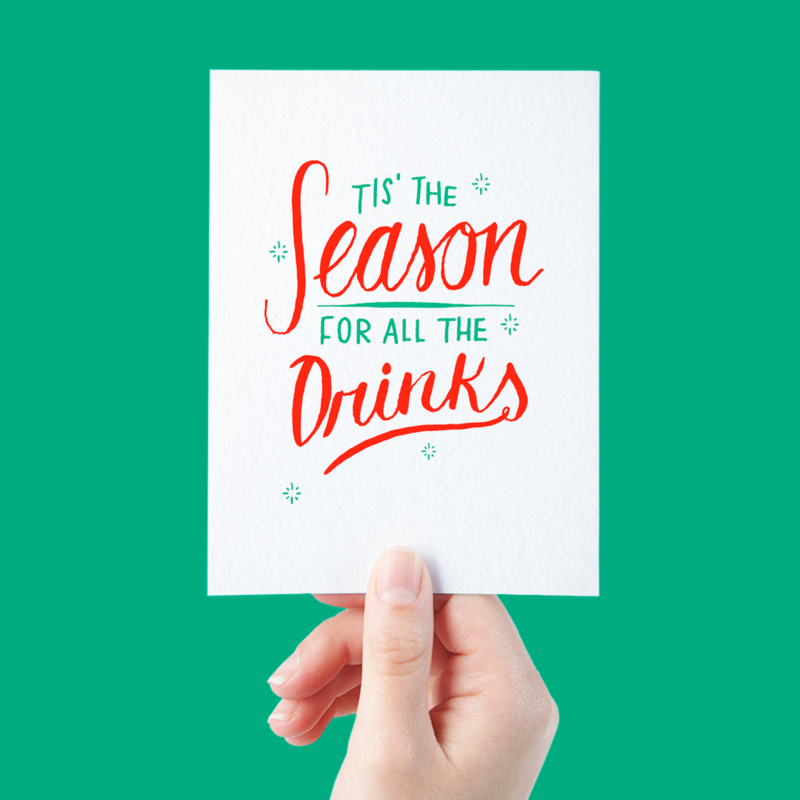 There’s hot toddies and apple cider and egg nog and… Wait, what were we talking about? Because this Bench Pressed holiday card totally just made you laugh out loud. And you probably already know someone who would appreciate it as much as you just did. Another way to state the obvious. 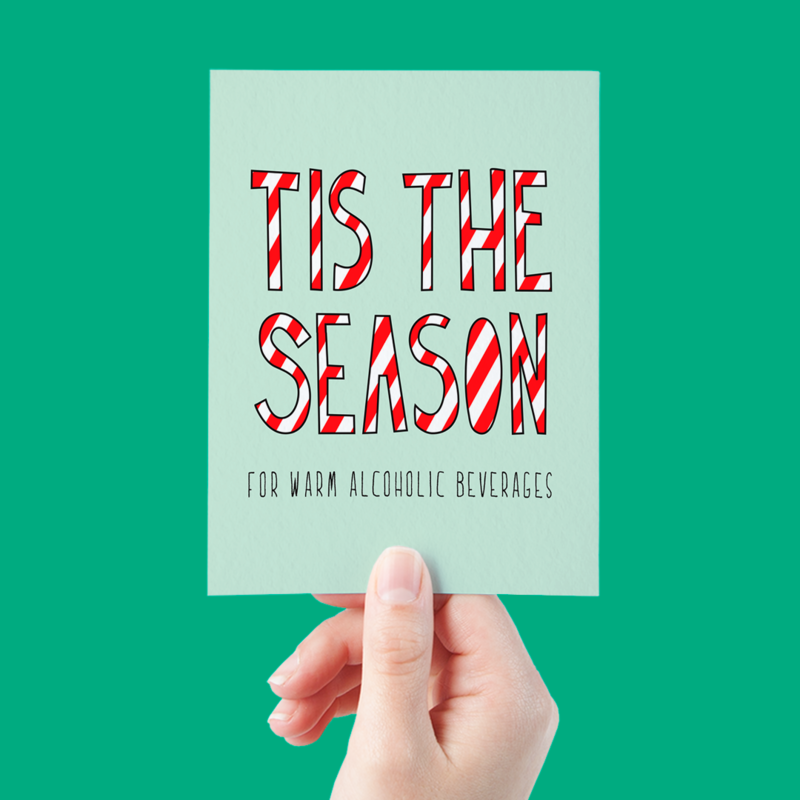 Who doesn’t love a good warm alcoholic beverage to go along with their festive feast? Have a pet? 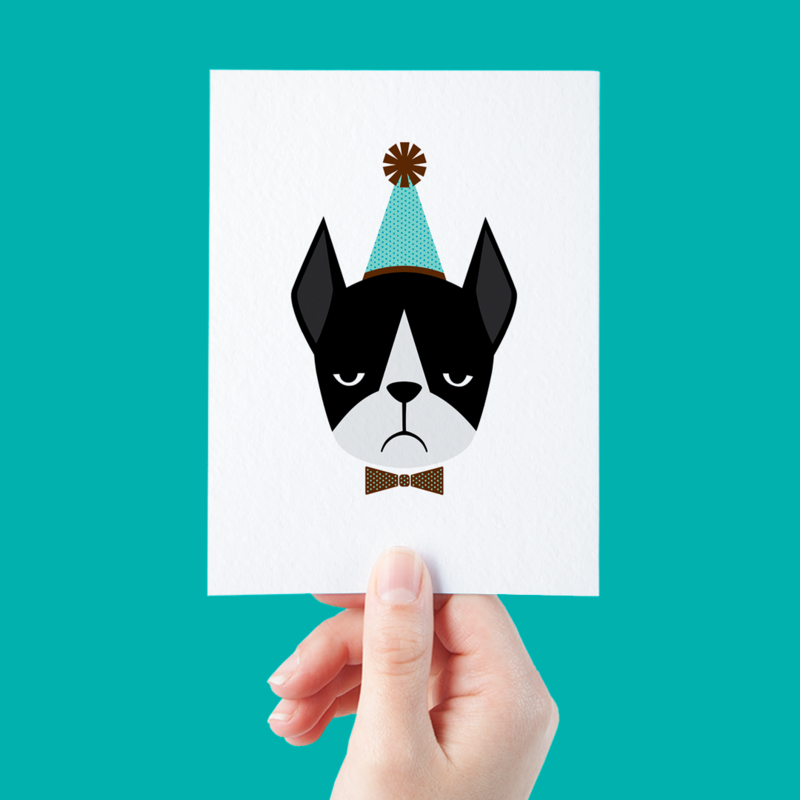 This card is the perfect way to share their adorable little faces with the world. 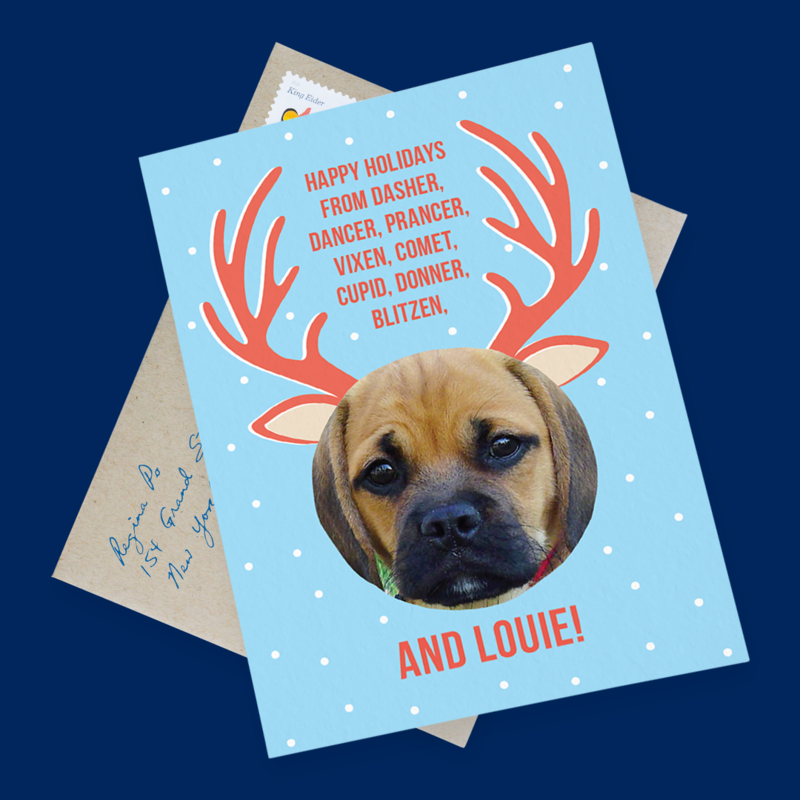 You can also send one of the many Holiday cards for pets if that’s your jam. Hey girl. Ho Girl. It’s all the same. 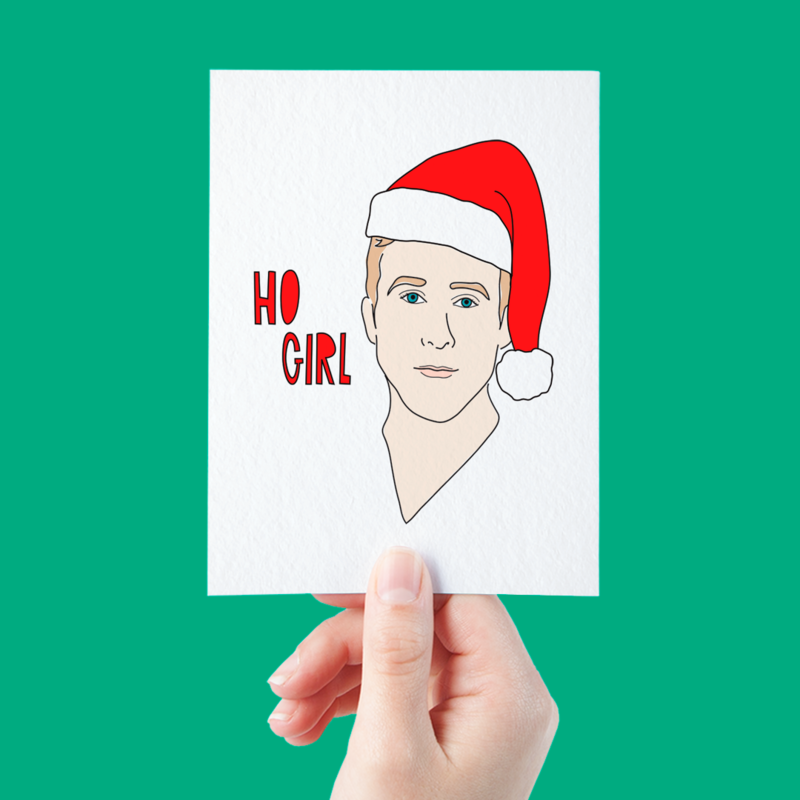 And it’s always funny… Especially if you know a Gosling fan. 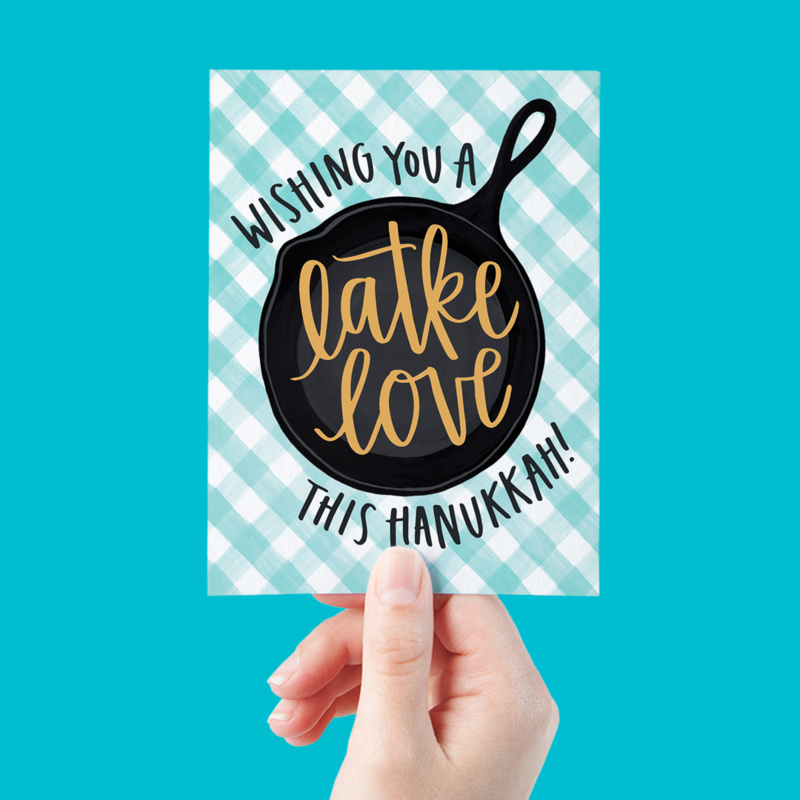 Gotta love a good Hanukkah pun. Not only is this little diddy funny — it’s also quite pleasant to look at. 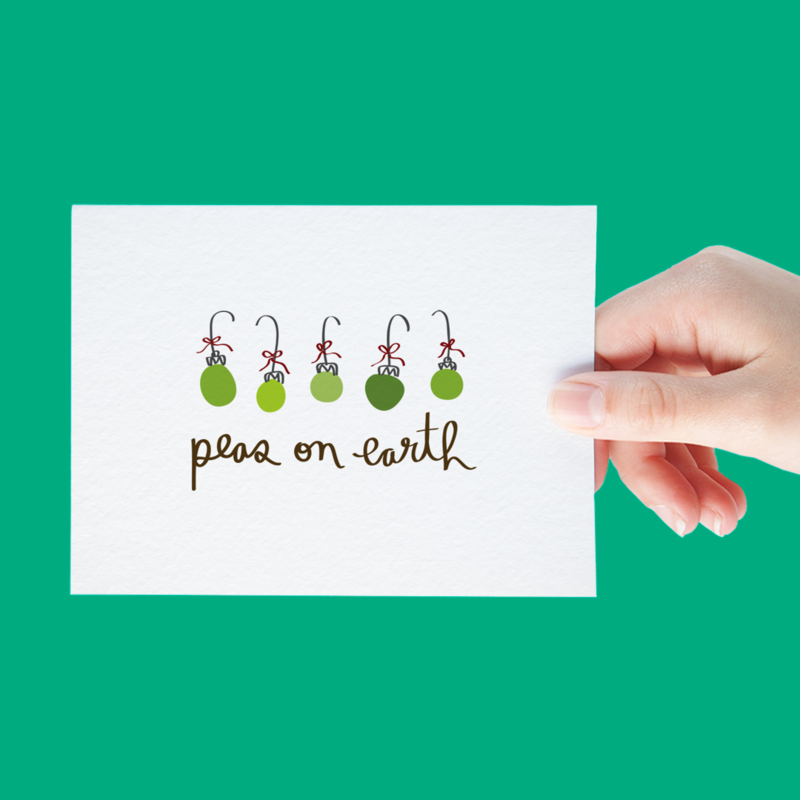 Hand painted by One Canoe Two — this delightful little card will likely make anyone giggle. Yup, you guessed it. Another pun for the win. 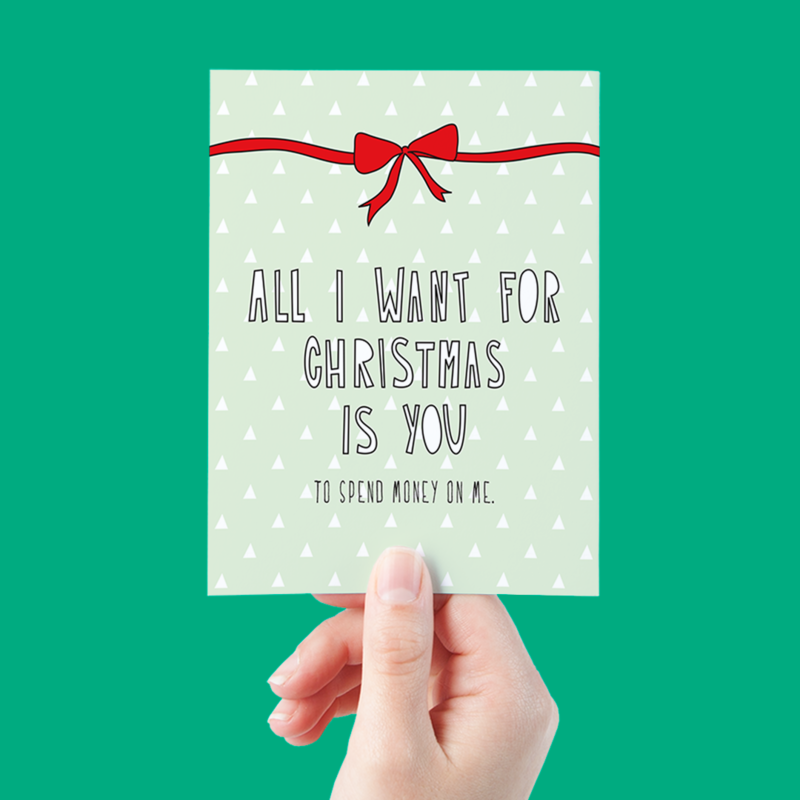 Don’t even try to hide it — this card made you laugh out loud. Sure, snowmen by themselves don’t exactly make for a good giggle. 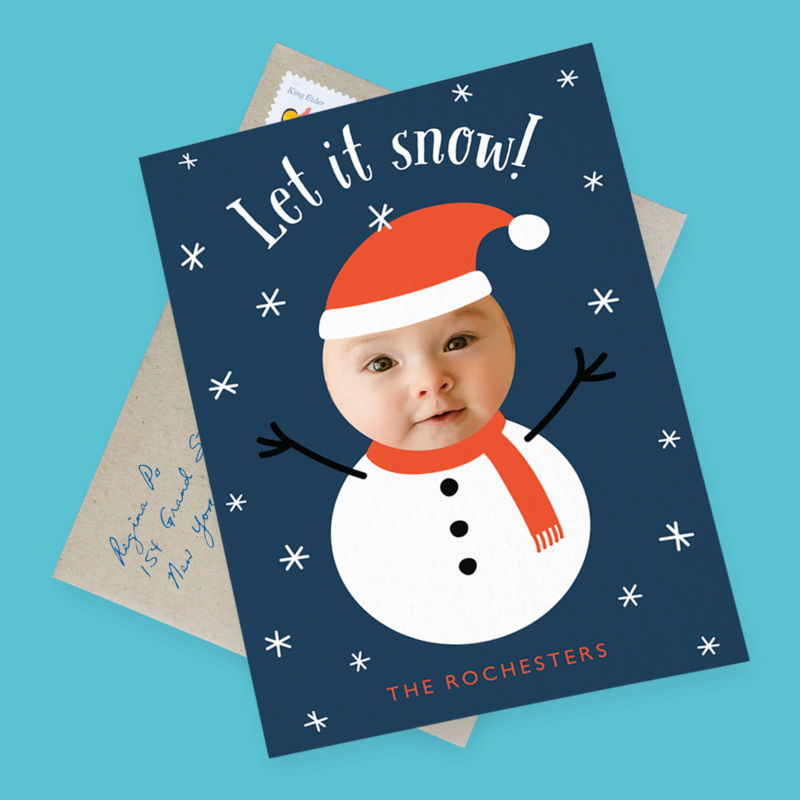 But stick a cute baby face instead of a snowman face and you got yourself a funny little card. 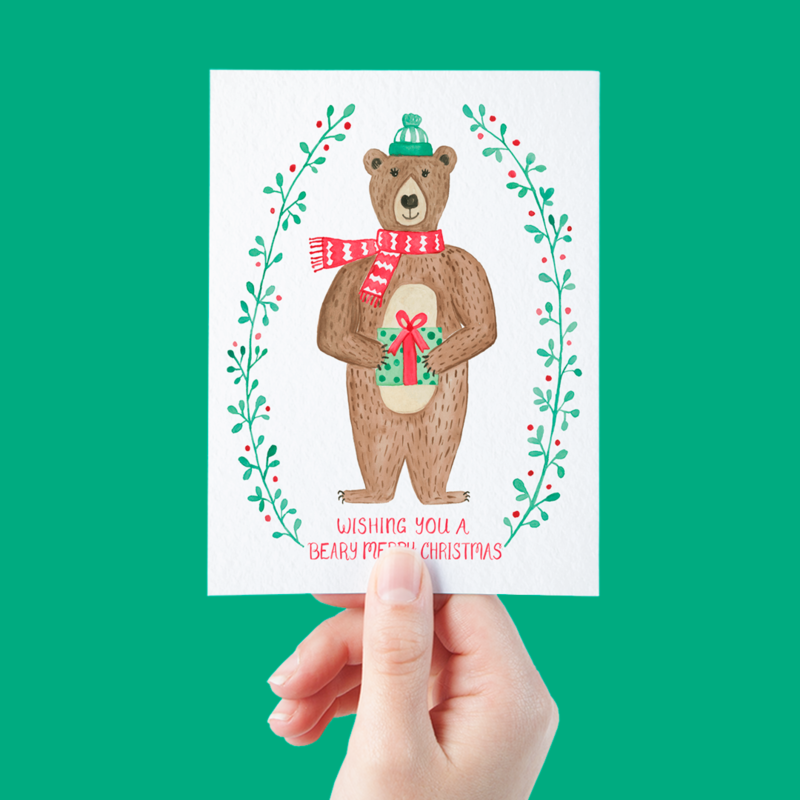 Put your own smiling photo in the custom slot and send your family and friends a card they can hang with a smile. Literally. Because you can never have too many puns. Never. 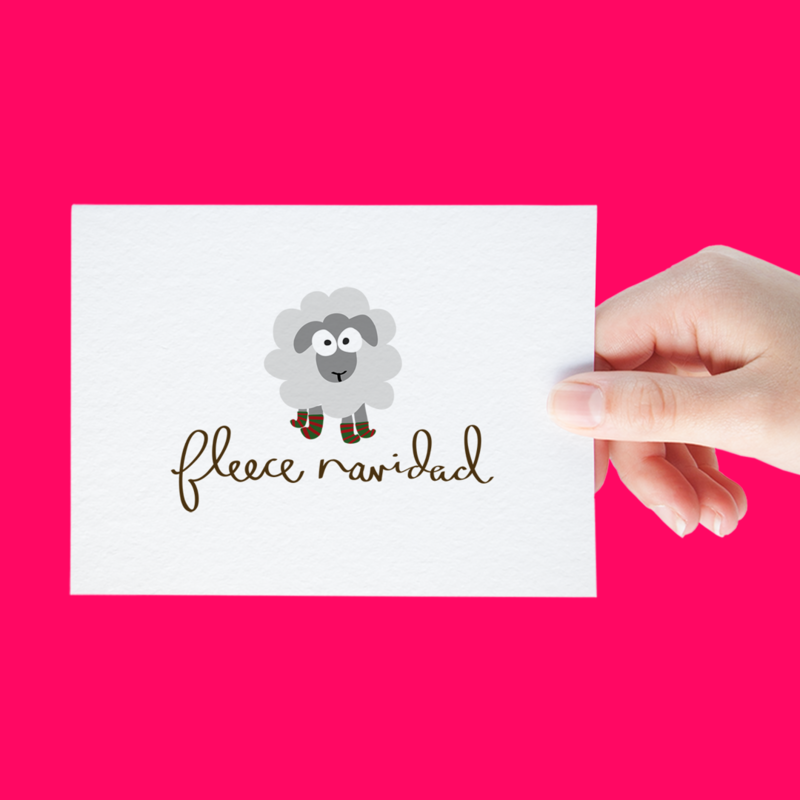 Besides being punny, this adorable hand painted card is also too cute for words. So we’ll just leave it at that. 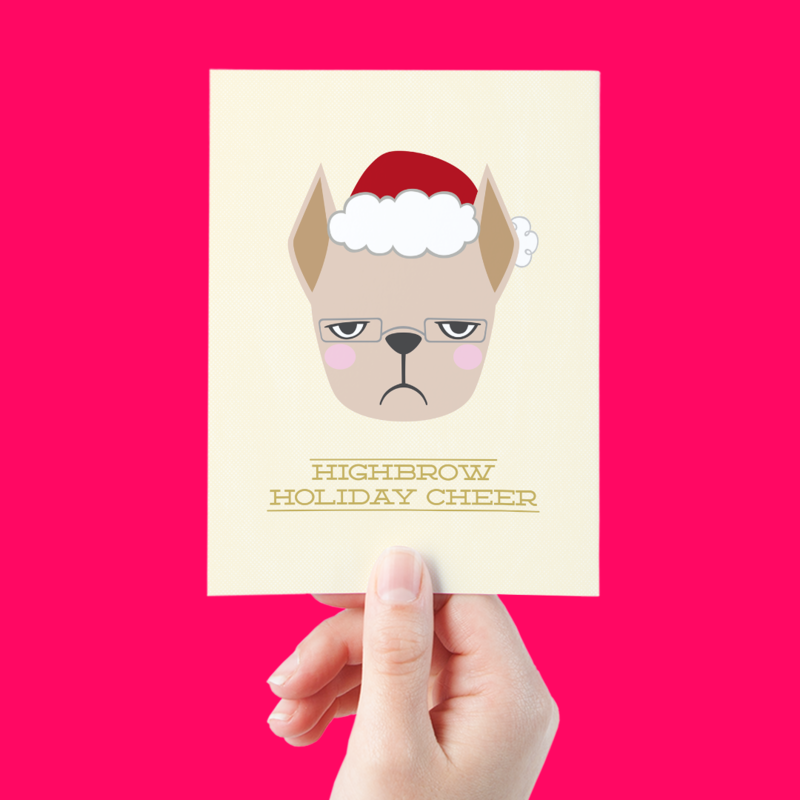 For your highbrow friends this holiday season. Another pun for the win by A Jar of Pickles. For the puppy lovers in your life. 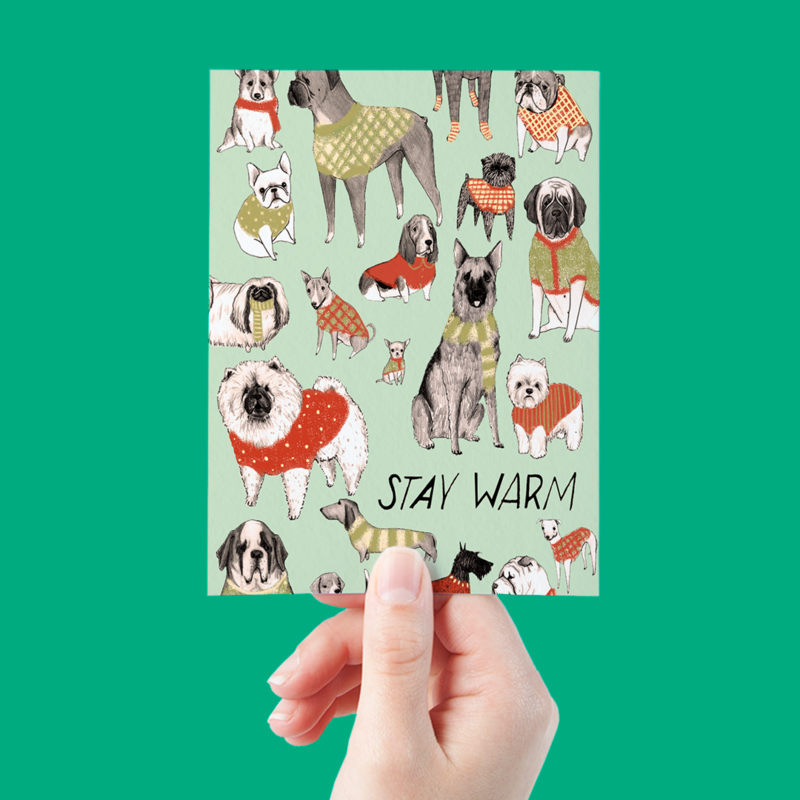 It’s hard not to love this card with all those adorable little mugs! And the doggie sweaters! Gotta love a doggie sweater! A design pun — still counts! Still funny. 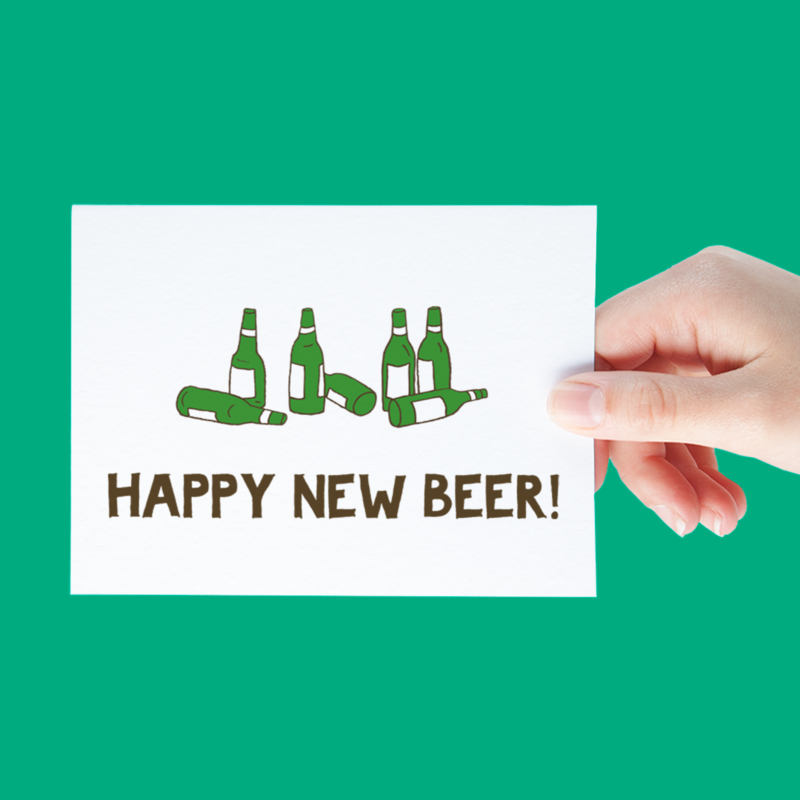 For the beer lovers in your life. A pup. A bow tie. And a party hat. What’s not to love? 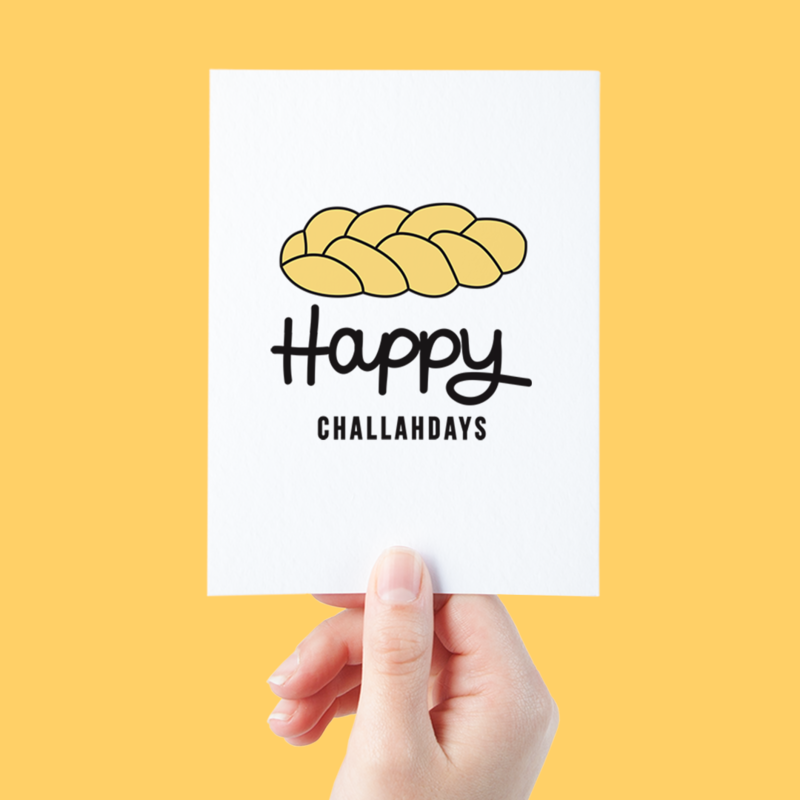 Last, but certainly not least — the Challahdays. Started with a pun and so the list comes to an end with a pun. What if we told you there was more?! So. Much. More. 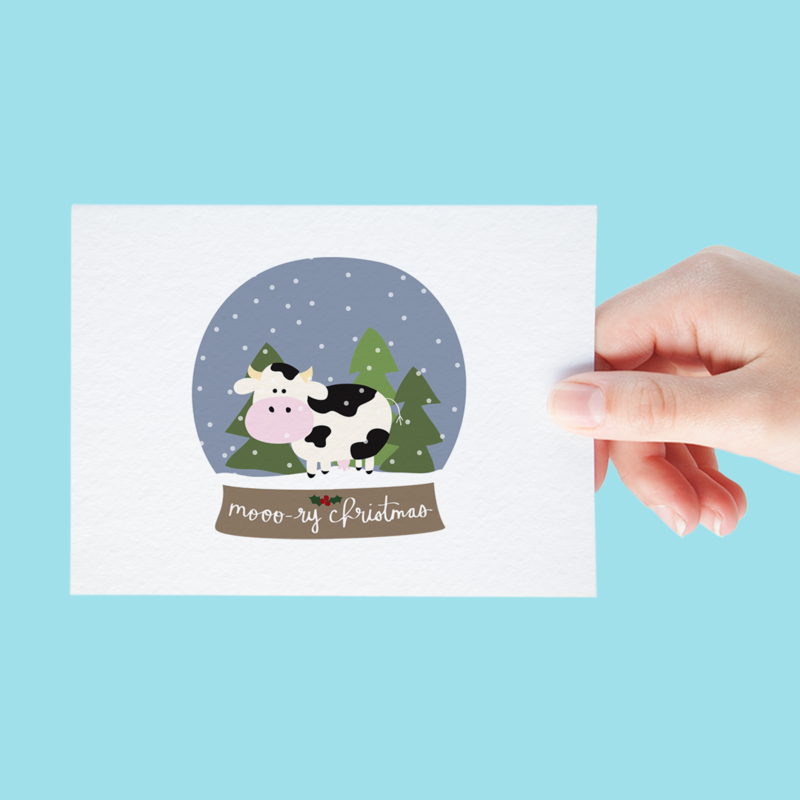 The Postable holiday card selection is full of delightfully funny (and most certainly punny) card designs that are constantly being added. 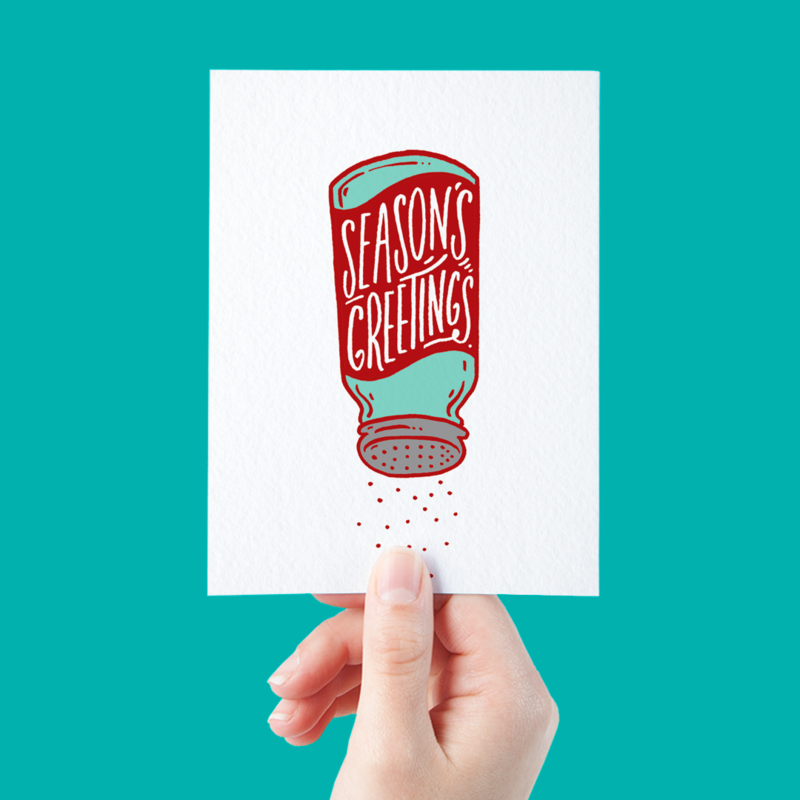 In fact, there’s probably some new funny holiday cards coming your way right this very second. 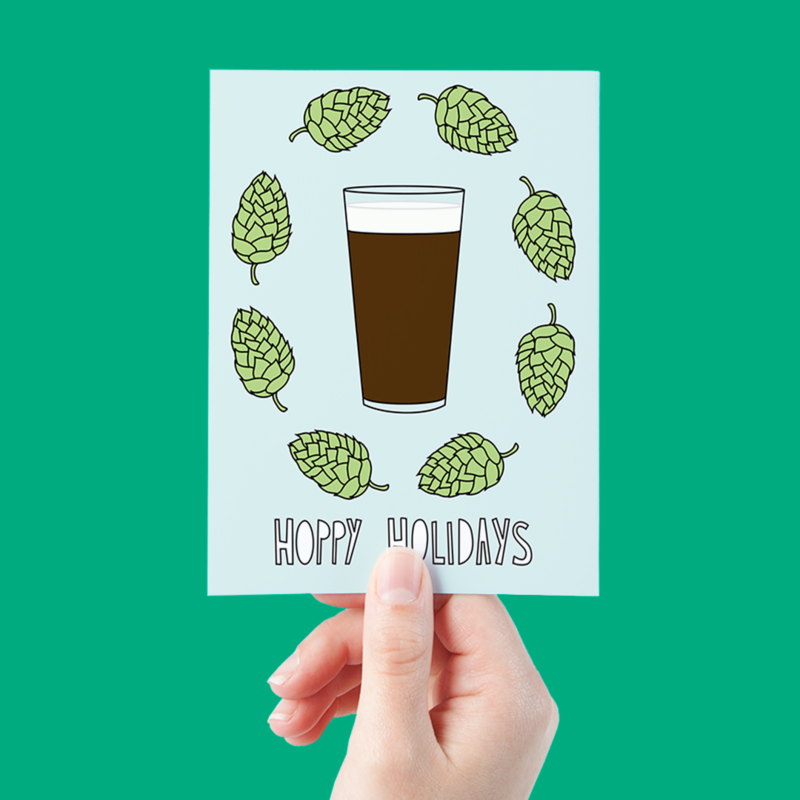 Check out all the holiday cards right here.